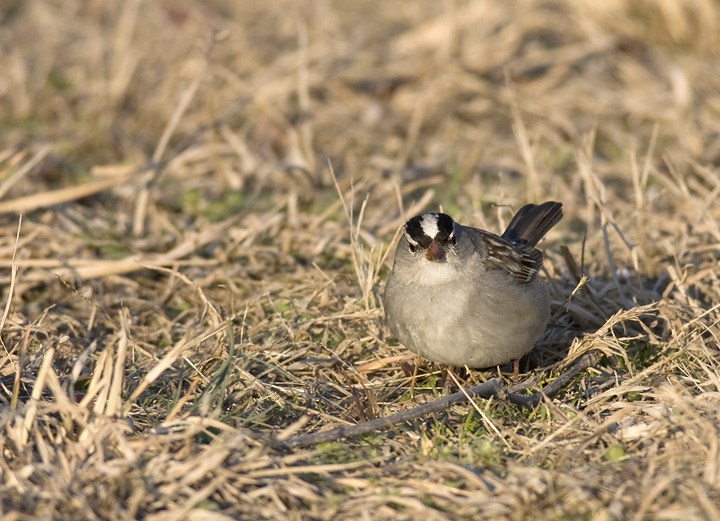 Above and below: Eastern White-crowned Sparrows at Prime Hook NWR, Delaware (3/2/2008). 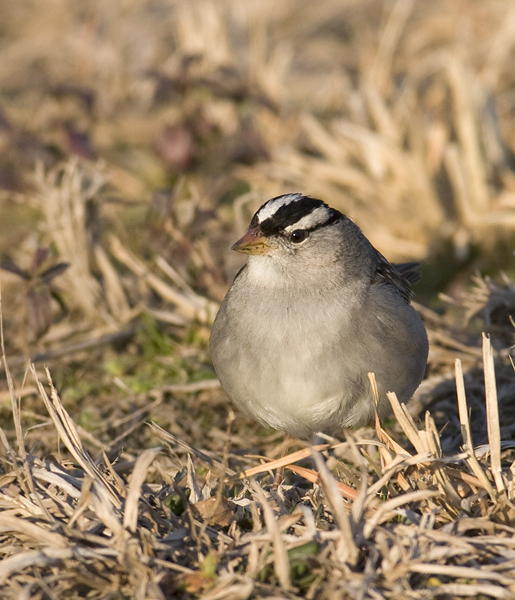 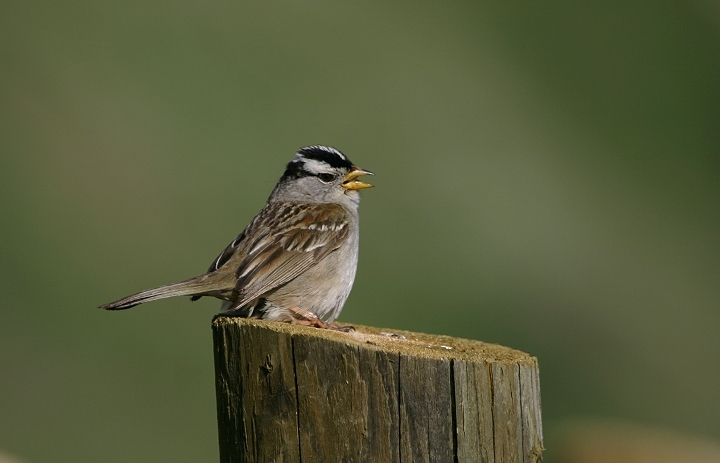 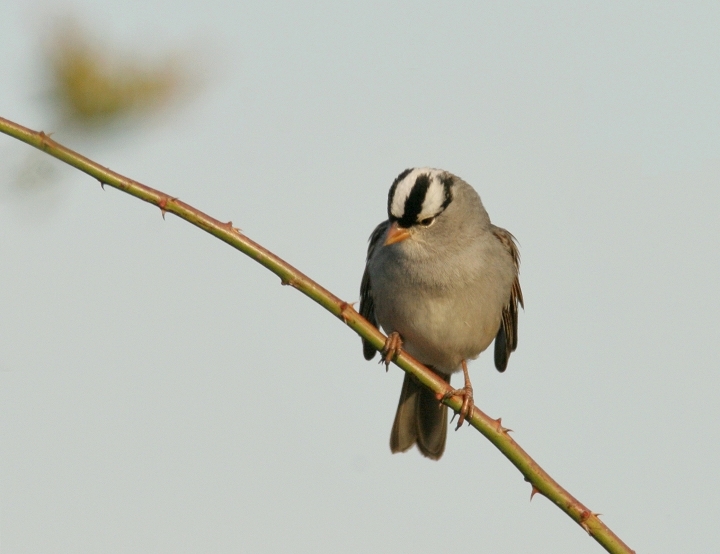 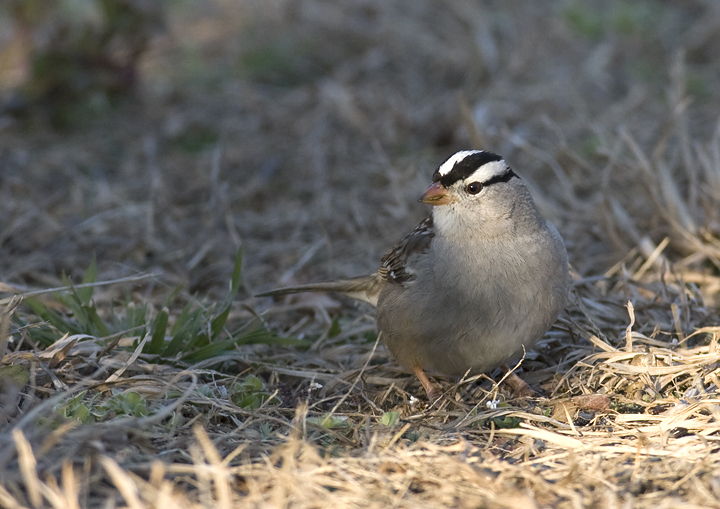 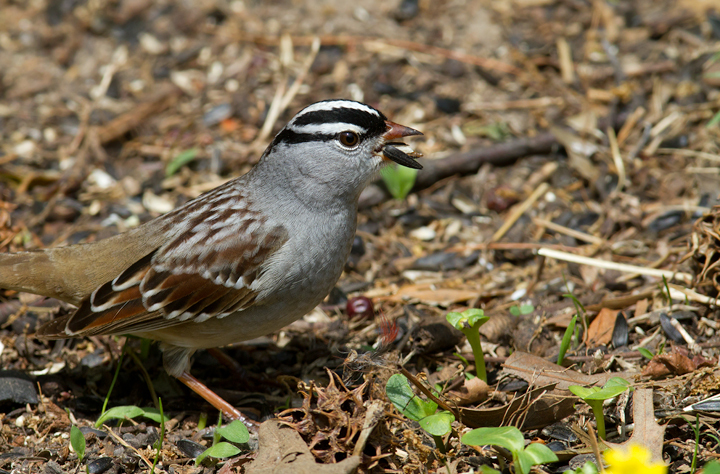 Below: An adult Gambel's White-crowned Sparrow at Prime Hook NWR, Delaware (3/2/2008). 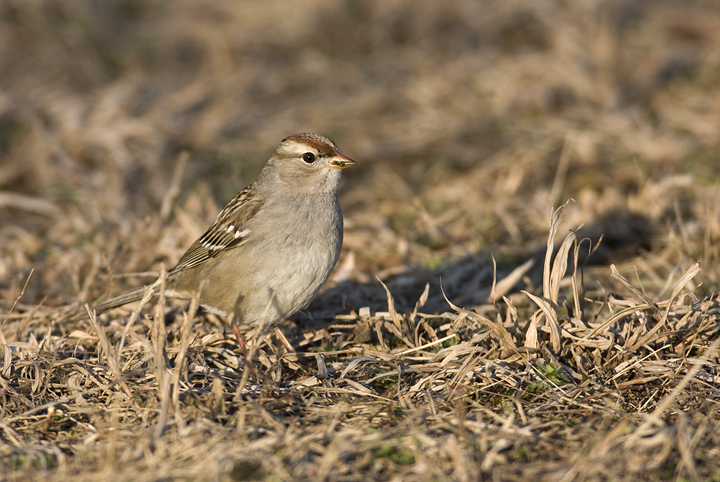 This bird was accepted as the first documented record for Delaware. 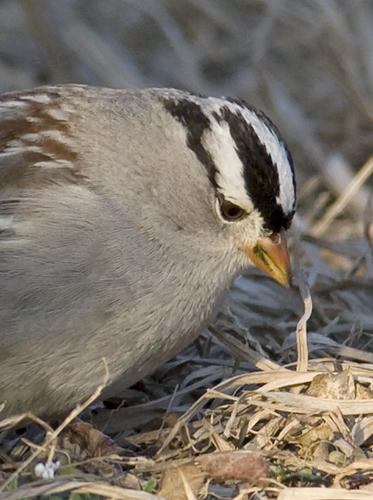 Above and below: An adult Eastern White-crowned Sparrow in Frederick Co., Maryland (11/4/2006). 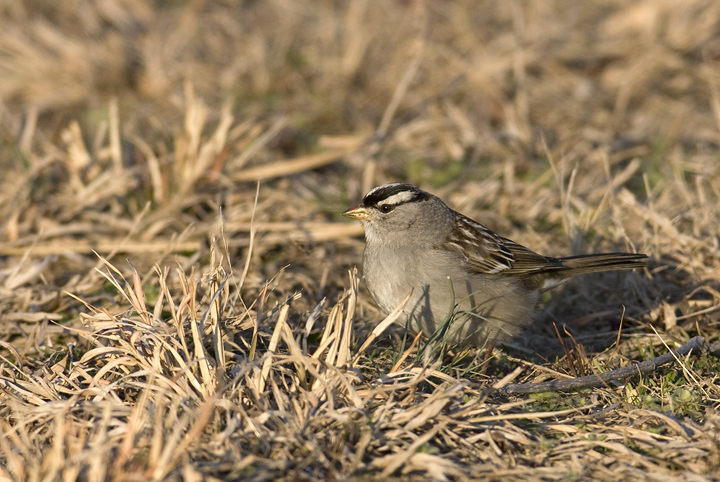 Below: A presumed immature Gambel's White-crowned Sparrow (Z. l. gambelii) found west of Butlertown, Kent Co., Maryland (2/25/2007). 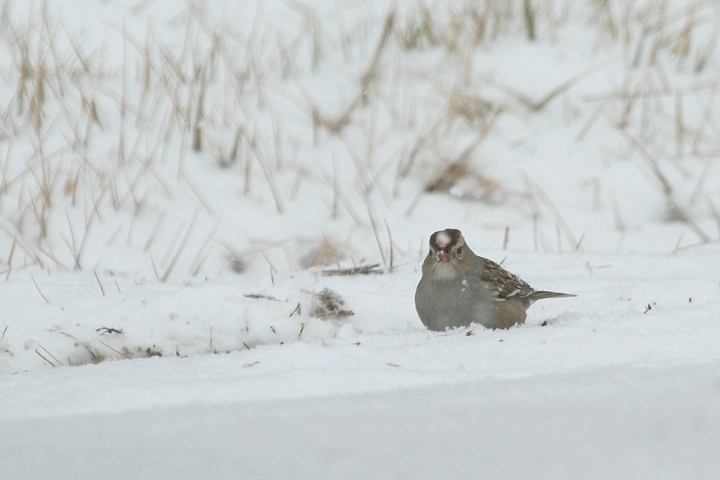 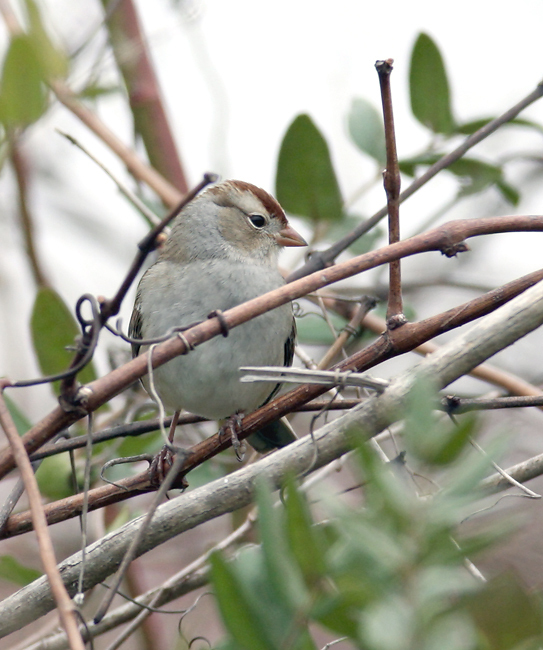 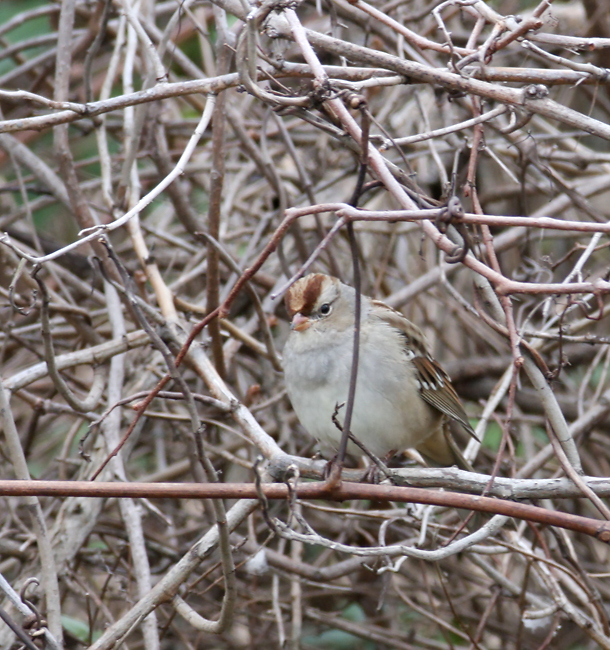 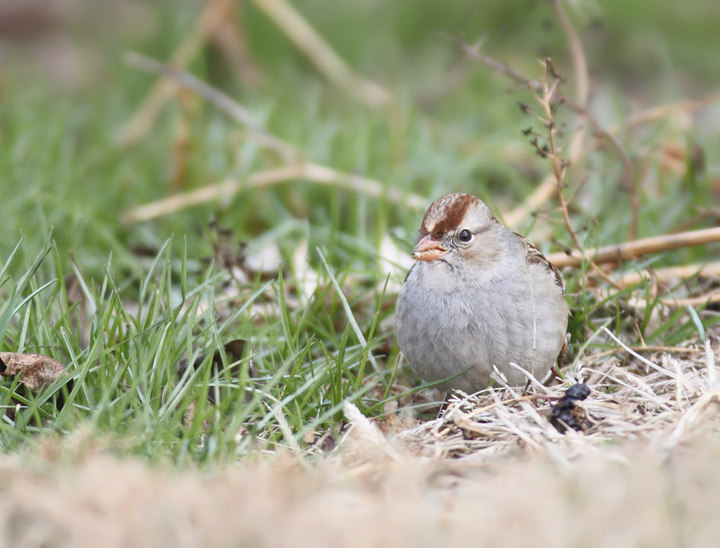 Below: An immature Eastern White-crowned Sparrow (Z. l. leucophrys) at the same location for comparison (2/25/2007). The plain lores on the Gambel's is probably the easiest field mark to observe. 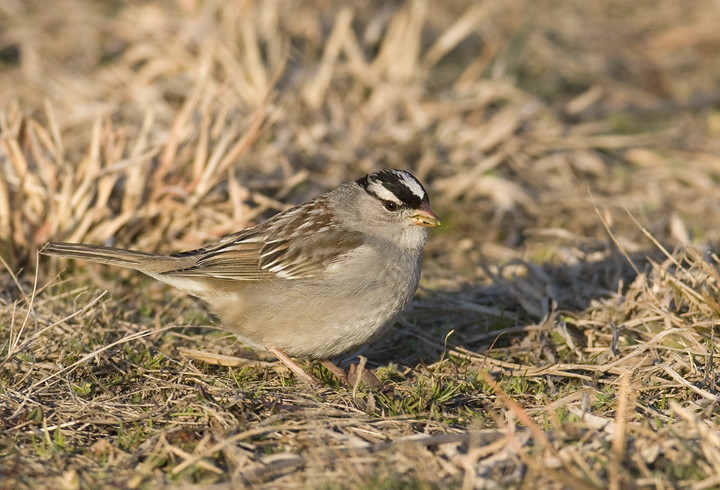 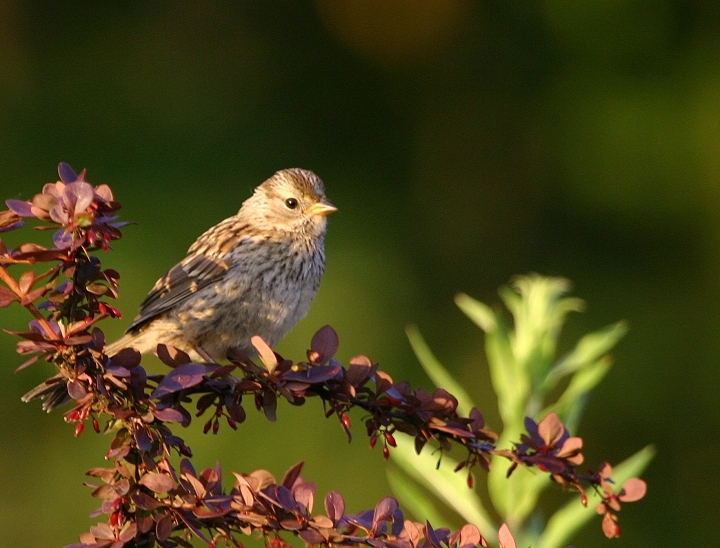 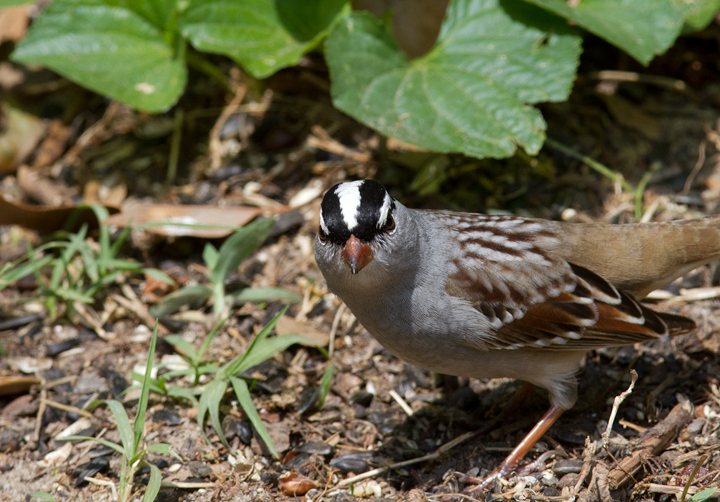 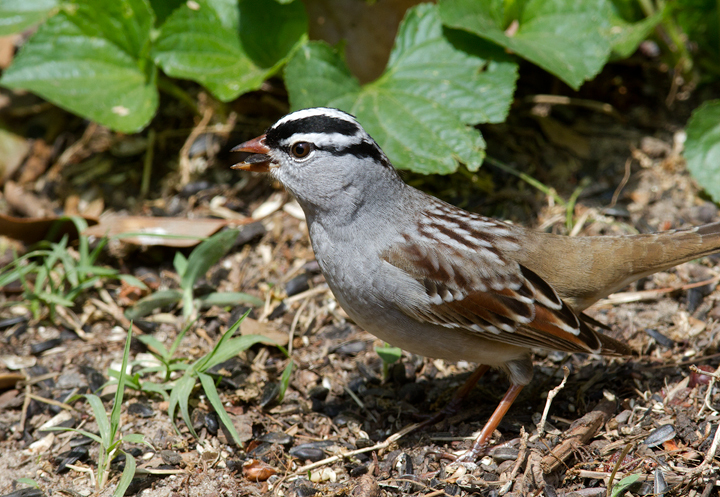 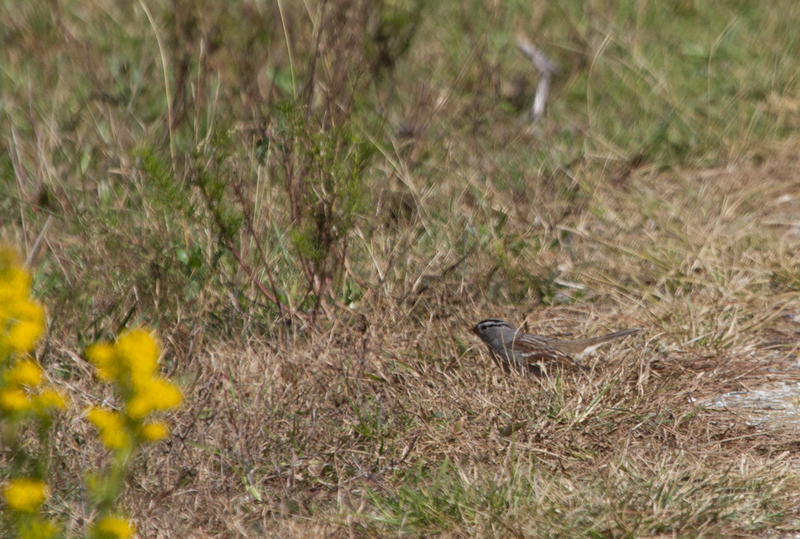 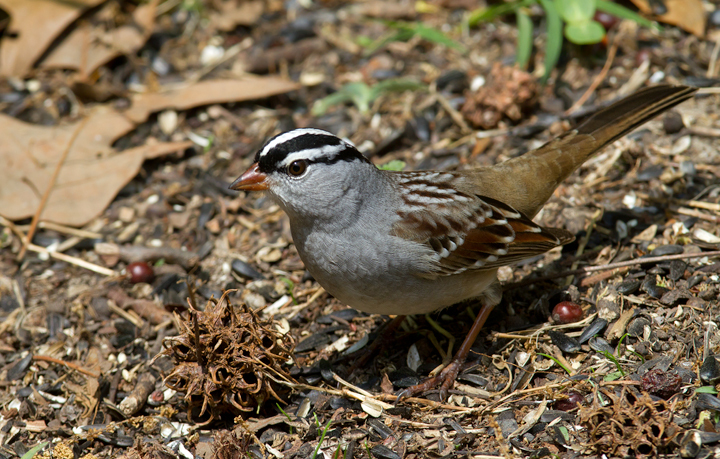 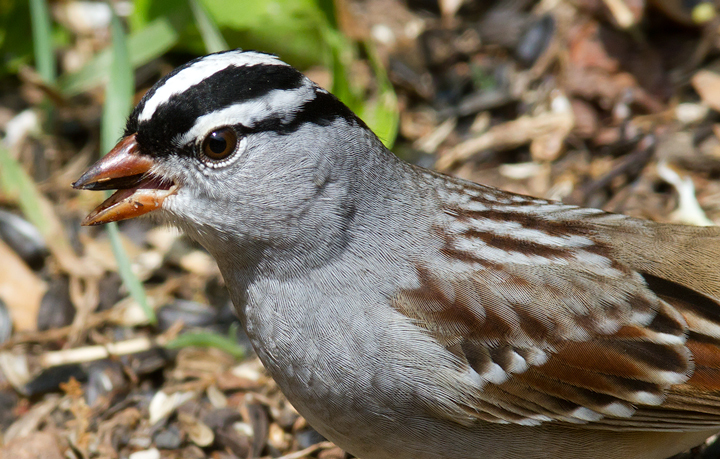 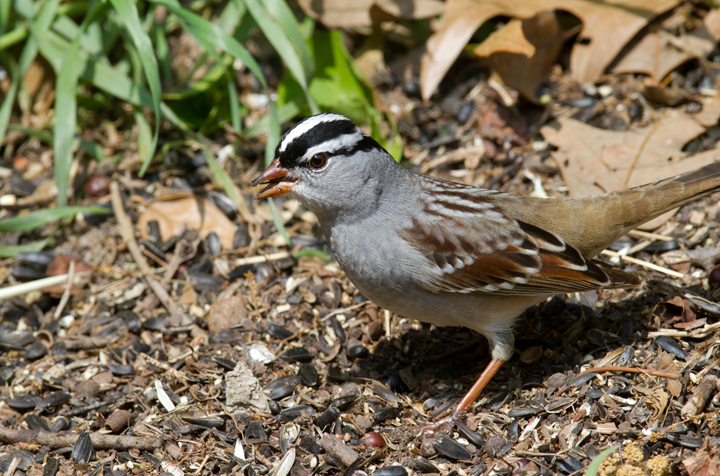 Below: Below: A presumed Gambel's White-crowned Sparrow at Chesapeake Farms, Kent Co., Maryland (11/9/2007). 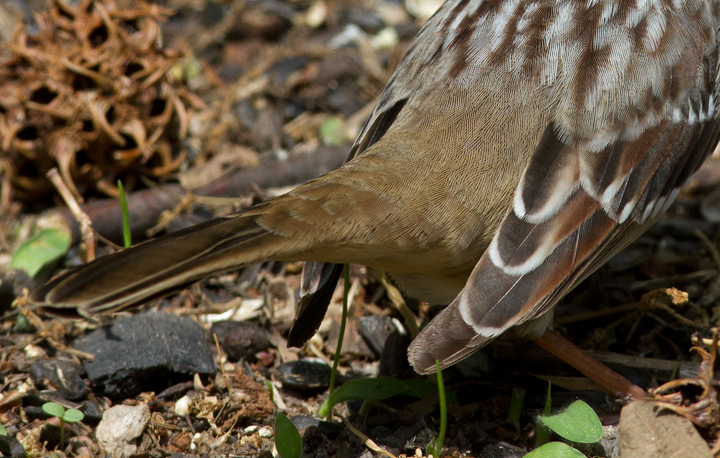 Interestingly, many of the state's records of this subspecies come from this part of the state. 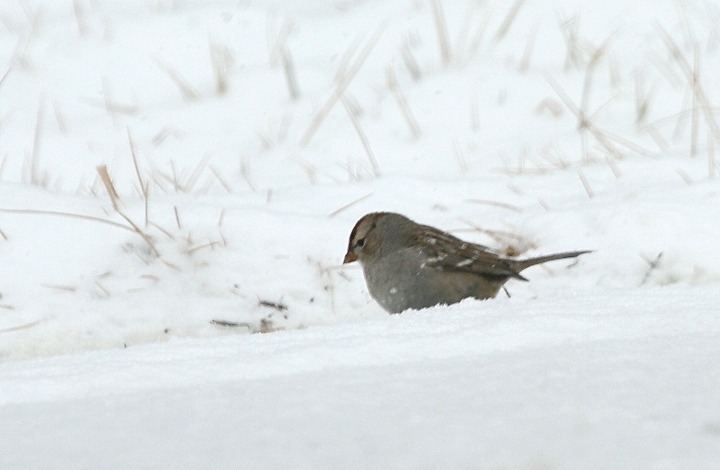 This was my second in the state; the other was just a couple miles away on 2/25/2007 with Jim Brighton. 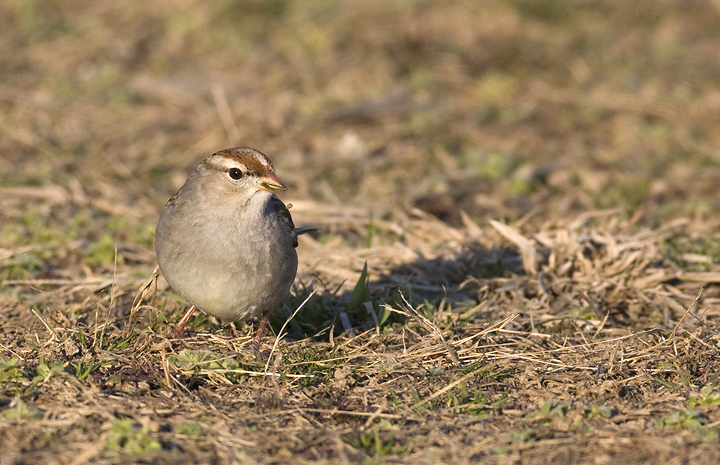 Below: Immature Eastern White-crowned Sparrows at Remington Farms, Kent Co., Maryland (12/20/2010). 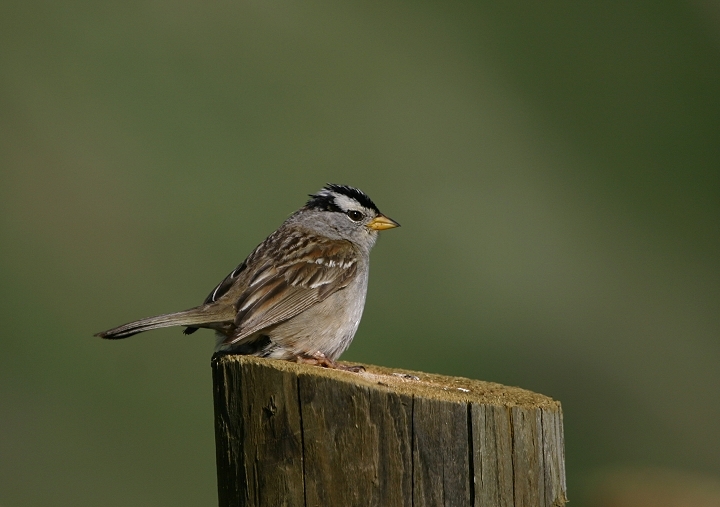 Below: "Puget Sound" White-crowned Sparrows (Z. l. pugetensis) in coastal northwestern Oregon (6/20-21/2005). 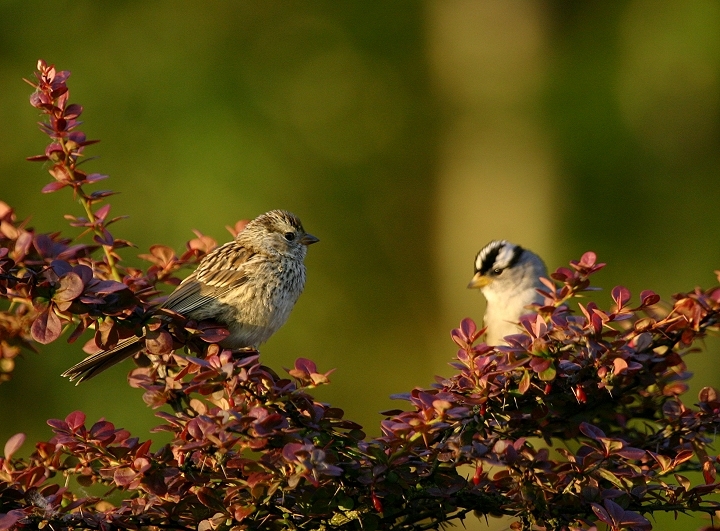 Below: Adult and juvenile White-crowned Sparrows in coastal northwestern Oregon (6/20-21/2005). 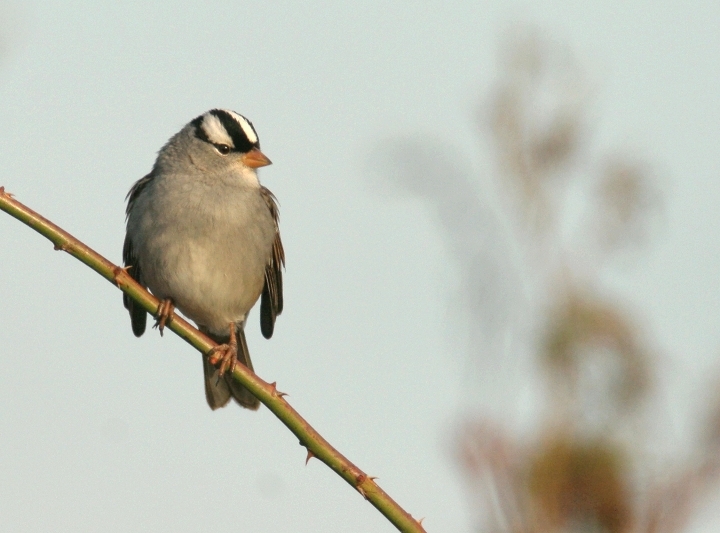 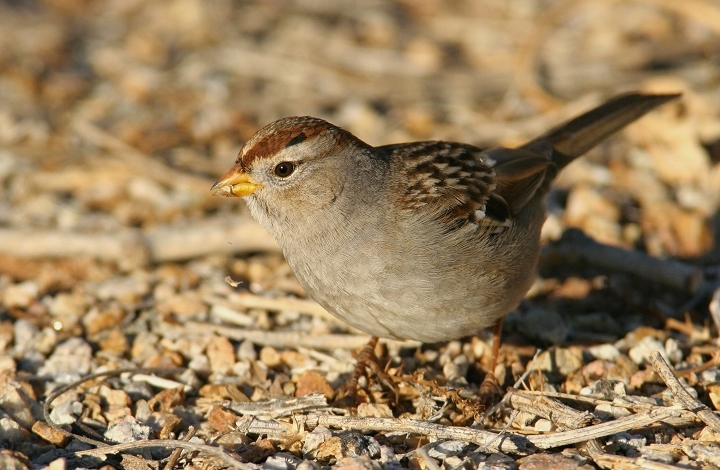 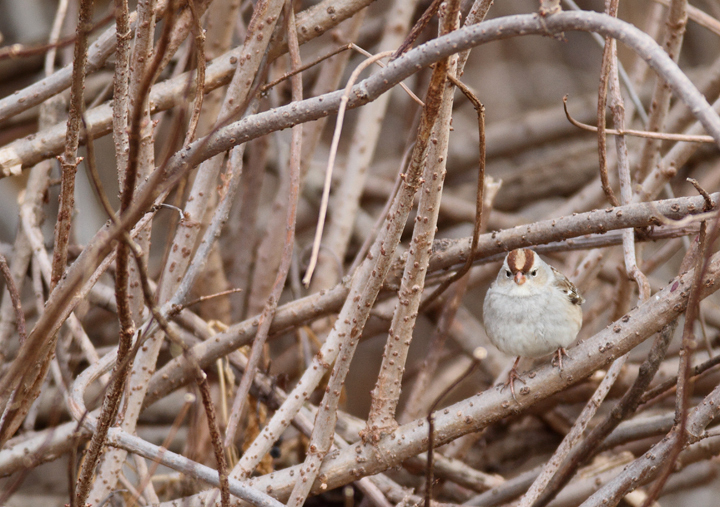 Below: An immature "Gambel's" White-crowned Sparrow (Z. l. gambelii) at Gilbert Water Ranch, Arizona (1/6/2007). 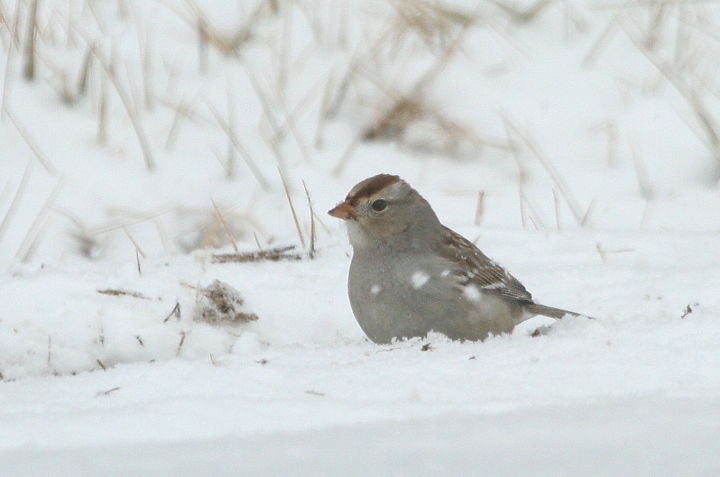 Comments: In most parts of the Mid-Atlantic, this attractive sparrow is a fairly uncommon winter resident.